Ahoy mateys! 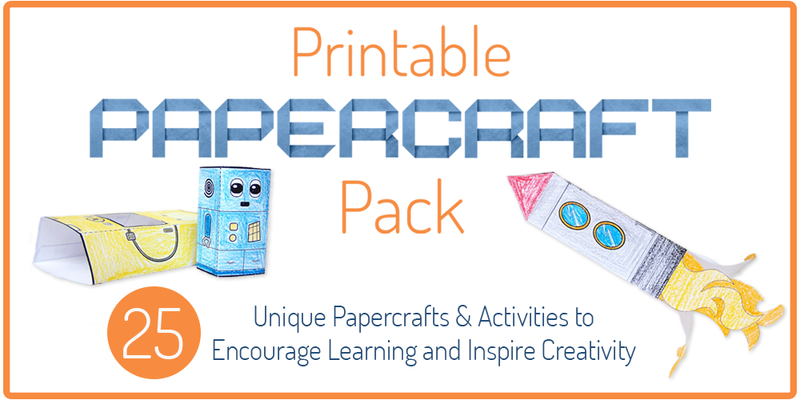 Welcome to our fourth day of pirate week here at Create in the Chaos. 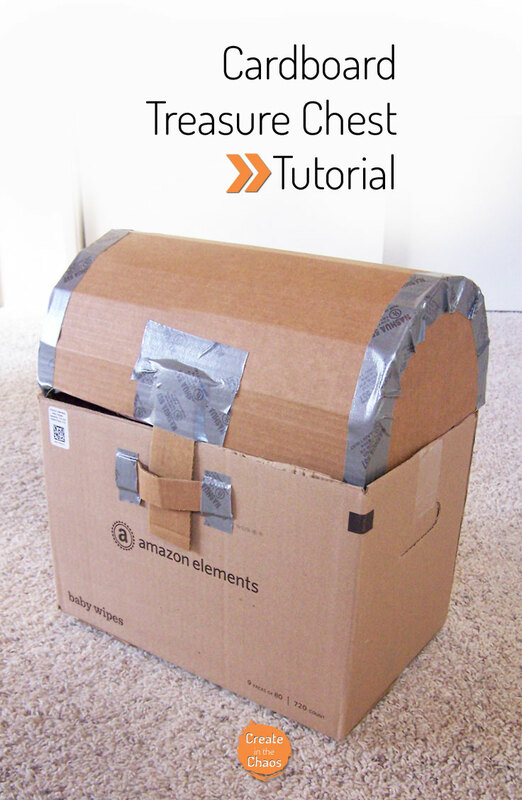 I’ve got a great tutorial for you today – a tutorial for a cardboard treasure box. 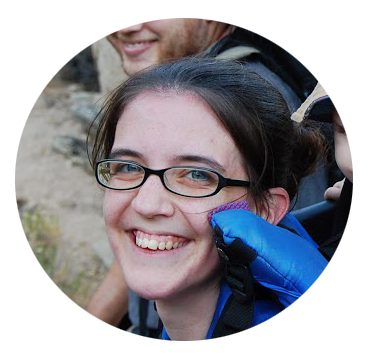 Now lets get started on our treasure box! 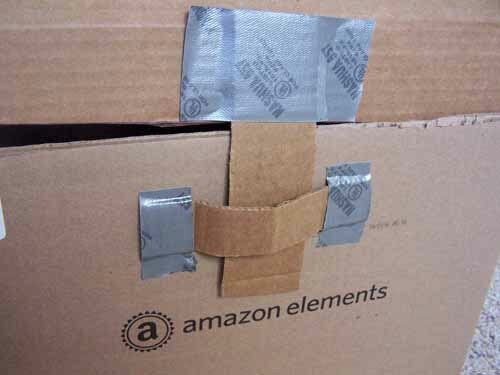 Cut off three lid tabs of your cardboard box. Leave one on one of the long sides. 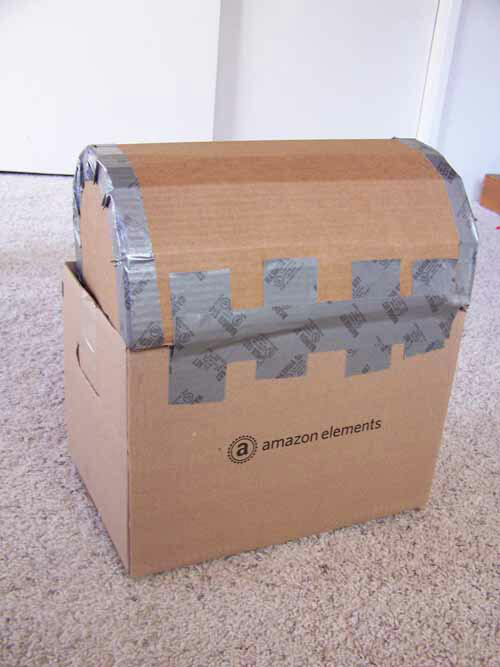 Measure the sides of your box and make a note of them. 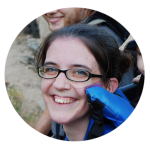 The length of my shorter side is 9 inches, and the back width measures 14 inches. 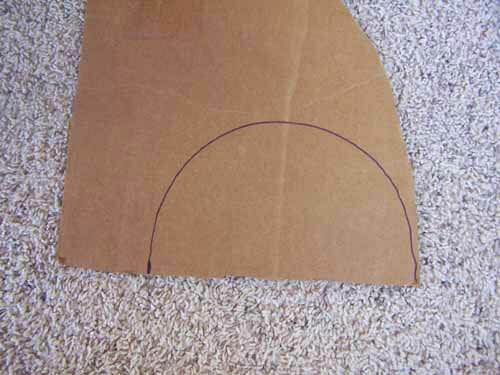 Draw out the side of your lid. 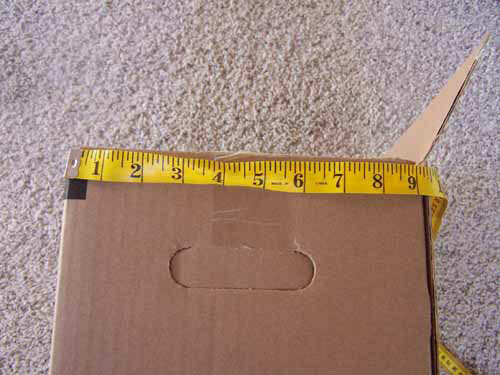 The straight edge of the bottom should be the measurement you took above – the length of the shorter side of your box (9 inches for the box I was using). Trace it to make another identical one. Measure around the curve. Mine was about 16 inches. Now we will make the top of the lid. 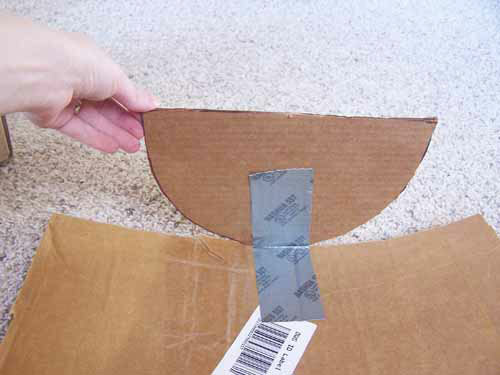 This is the part where the grain of the ribs of the cardboard is very important! Going with the grain, you want it the width of your box (14 inches for me). 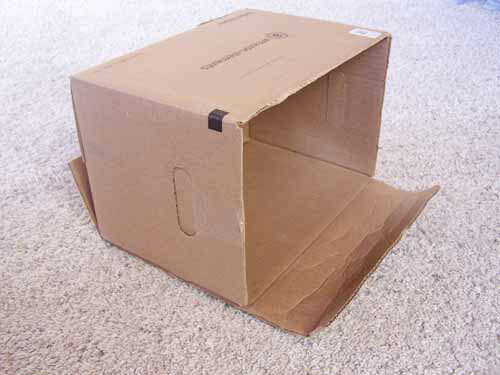 Against the grain is the measurement of the curve of the box top (16 inches from above). 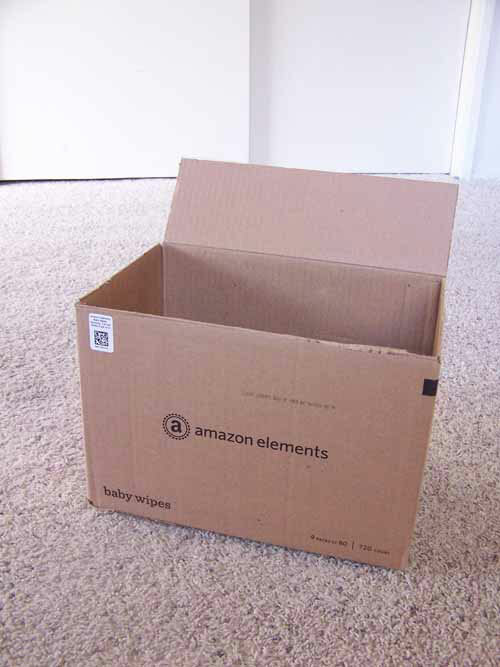 You can see the arrows below showing how you want the lines of the cardboard to go. 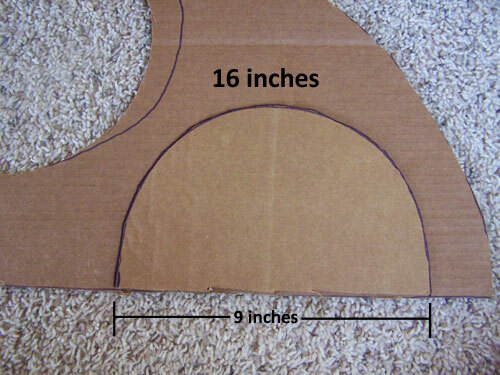 Once you have your measurements, cut it out. Now you have the pieces for your lid. 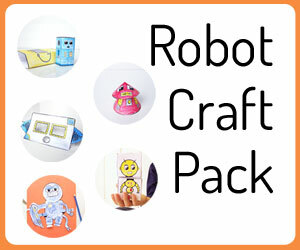 Let’s put them together! Start by curving the top of your lid. 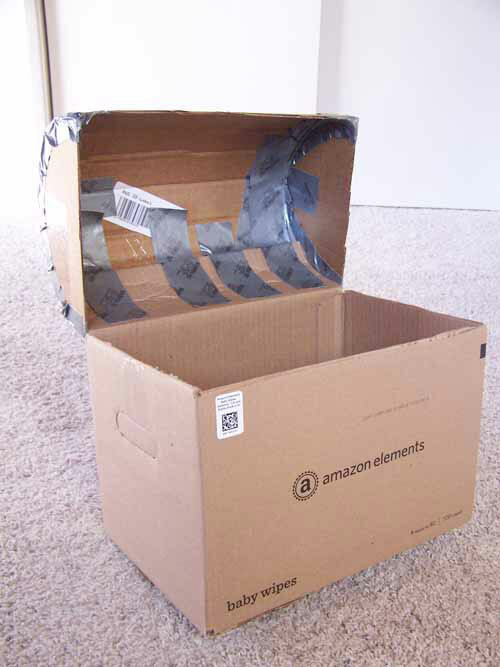 I used my roll of duct tape to slowly roll the lid up. 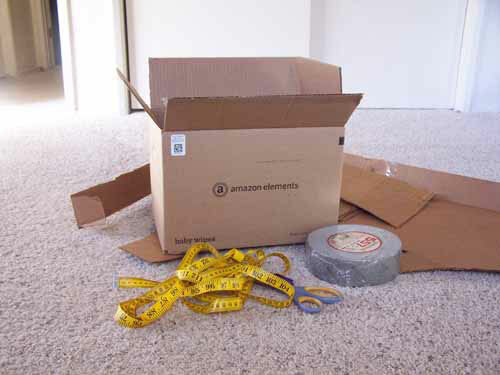 This will make it easier to tape to your half-circles. 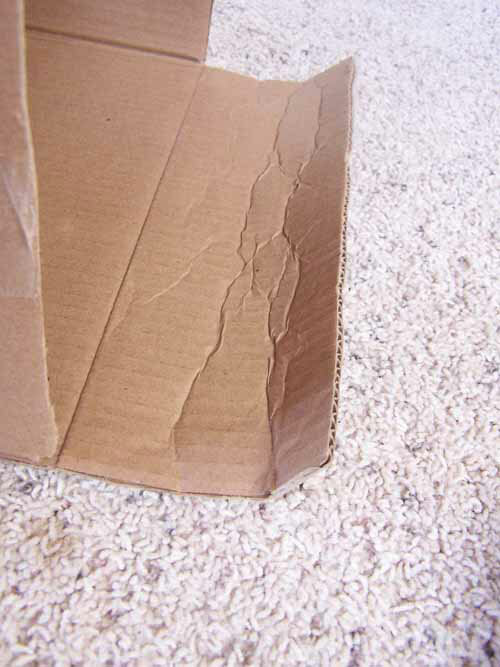 This is why the grain of the cardboard is important. Now it’s time to tape them to the half circles. 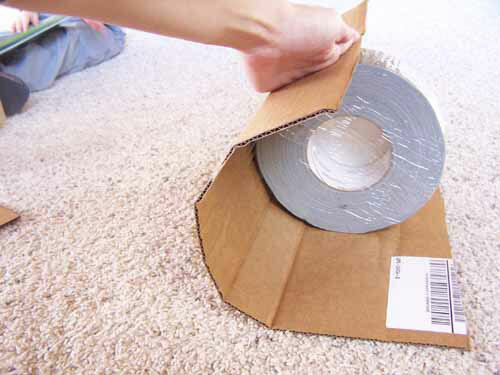 Start by placing a piece of tape to line up the middle of the lid top and one of the lid sides. 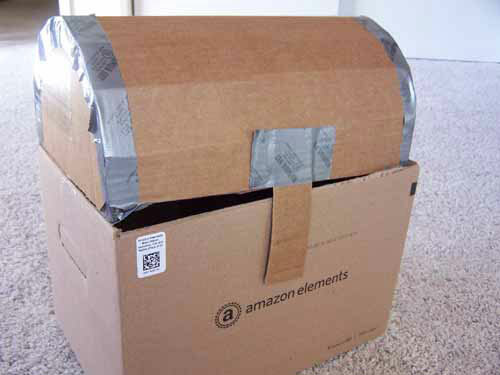 Take a piece of duct tape and carefully work your way around the lid side. 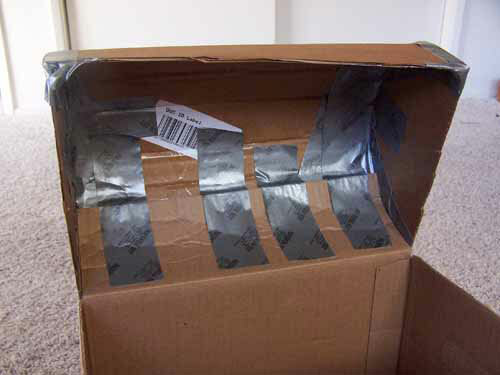 Once you’ve put duct tape on the outside, let’s reinforce the inside. 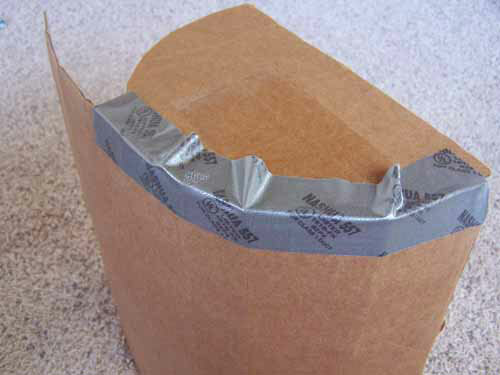 Tape along the inside seam of your lid. 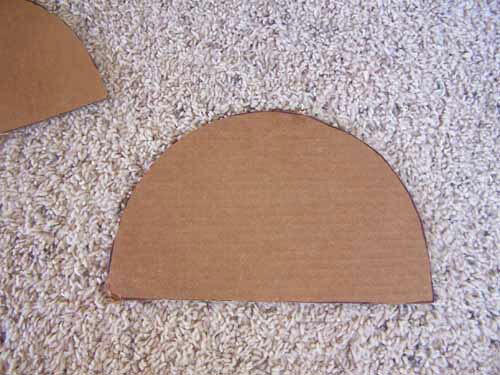 Add the other side of your lid the same way as above. Now we’re ready to attach it to our box. 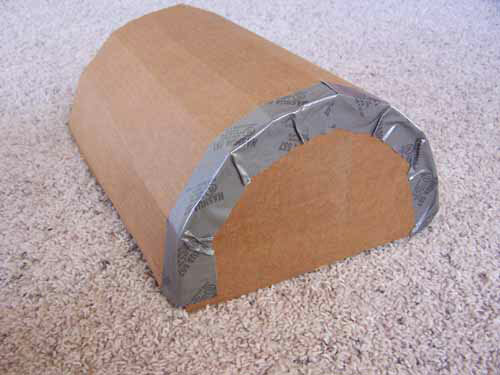 Roll the remaining lid flap so it is easier to bend as we attach the lid. 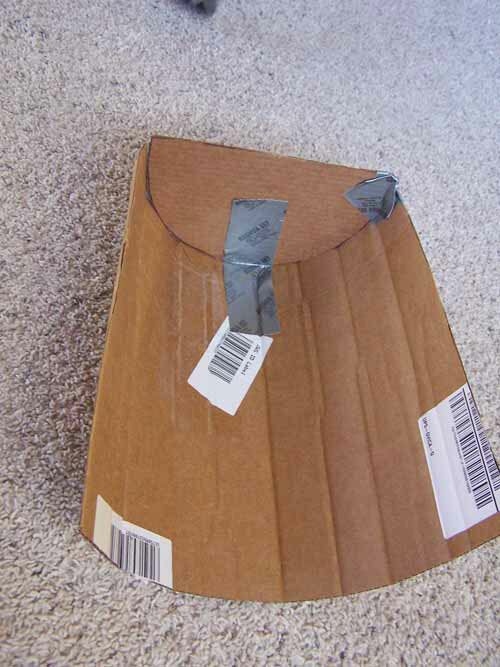 Take your lid and begin taping it to your lid flap from the inside. 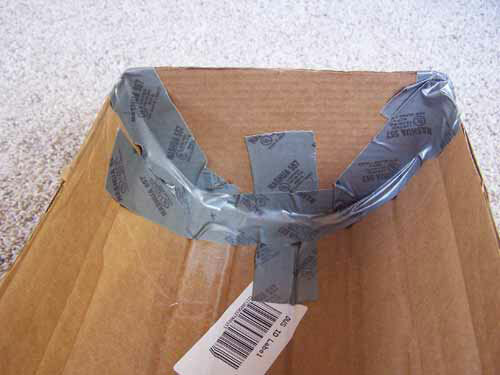 Then, tape the back of the lid. 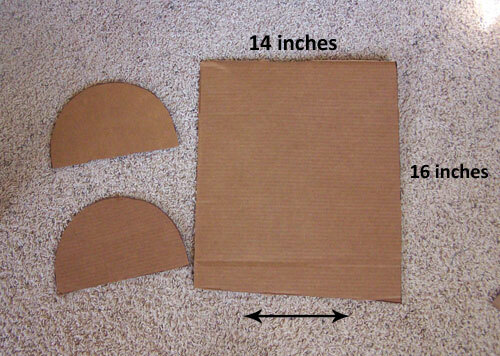 Tape a small piece of cardboard to the front of your lid. 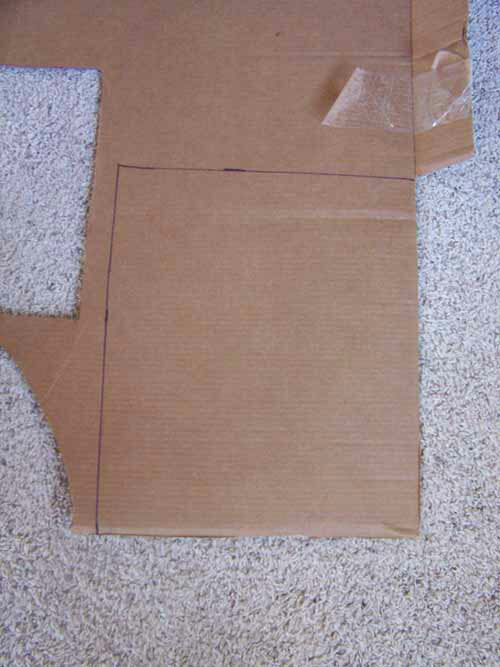 Then tape another piece of cardboard to the front of the box for the clasp to slip into. 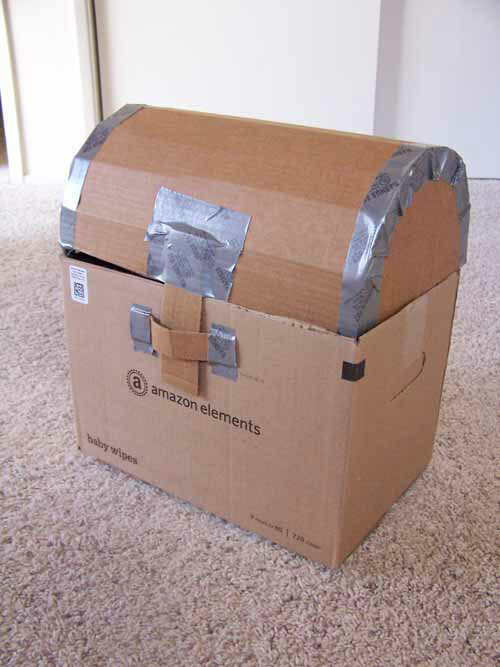 Here’s the base of your pirate treasure chest. You can add embellishments if you’d like, or even paint the treasure chest if you’re looking for something to use as a prop or just to look cool!